The morning light sneaks in through the canopies of trees in Soko Kembang Forest. The cries of little gibbon called the Javanese Owa, fill the forest in the early morning. From one branch to another, these gibbons swing joyfully. Down below, shady coffee plants grow naturally. Welcome to Petungkriyono coffee plantation. Soko Kembang forest area in Petungkriyono District is located in Pekalongan Regency. The forest with the cold weather is merging with Dieng plateau, located about 40 kilometers south of Pekalongan City. Rice fields and rows of green mountains will accompany a 2-hour winding journey towards this area. The fresh air welcomes us once we set foot in Petungkriyo District. The altitude of 900 – 1600 mdpl indeed makes this area suitable for coffee planting. No wonder the Dutch used this area as a coffee plantation. Over time, the coffee plants that were left by the owner blended with flora and fauna around the protected forest area. Slowly, in Soko Kembang forest that stretches as far as 6,000 hectares, a natural coffee plantation emerges. The Soko Kembang forest is also a convenient habitat for the Javanese Owa (Hylobates moloch). This rarest species of Owa in the world eats fruits, leaves, and wildflowers. The number of waterfalls and the lush and fertile area of ​​Soko Kembang makes it the right ecosystem for these Javanese gibbons. This endemic primate of Java Island is what initially stole the local’s attention before coffee. The locals used to hunt and sell the Javanese Owa as a source of livelihood. Fortunately, slowly, with education, local people began to understand the importance of protecting this small, tailless primate. This endangered blackish-gray animal needs to be protected. It was this awareness that raised the idea to cultivate the natural coffee plantation in the forest instead. It is Pak Tasuri, the local of Soko Kembang–who became a pioneer in the making of Kopi Petungkriyono (Petungkriyono coffee). He is also the one who finally made Coffee Petungkriyono got well-known as “the coffee of Owa” (Kopi Owa). 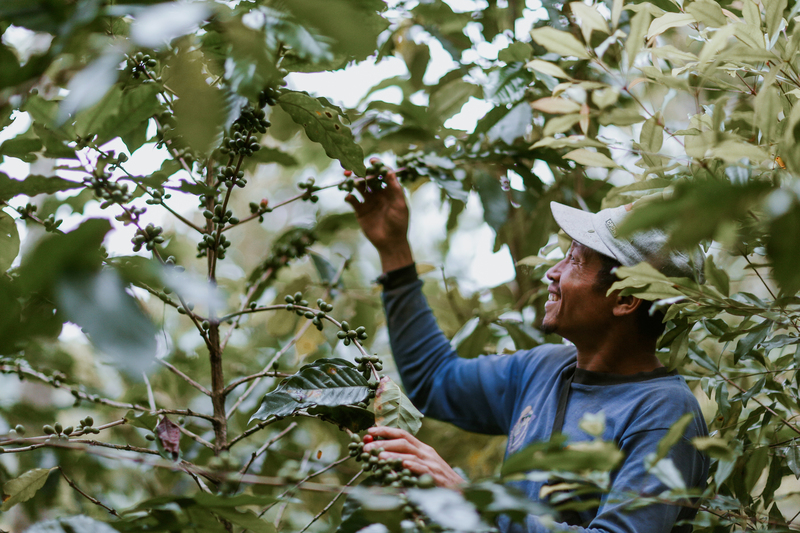 The coffee plantation is being taken care of by the locals as their source of livelihood as well as for the sake of preserving the Javanese Owa. Owa coffee spreads in several villages, from Tlogohendro Village, Tlogopakis, Yosorejo, and Kasimpar. The most dominant coffee plant in Soko Kembang is the robusta type. However, there are also other types of coffee such as Arabica, Riberica, and Exelsa. The sweet taste and the caramel-ish aroma of palm sugar become the hallmark of Petungkriyono coffee treat. Maybe the loud chirp from the Javanese Owa in the distance also makes this coffee taste more magical when sipped by the edge of the forest. Owa coffee was also praised by Ann Kwang, the Ambassador of South Korea at the Diplomat Friendly Gathering Night. The coffee plants that grow naturally in the forest are organic. Their compost is only pure humus without any chemical spray. 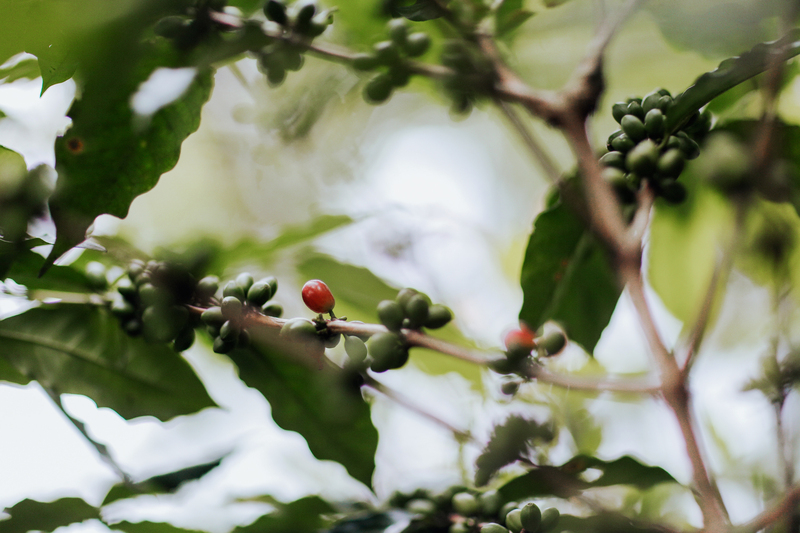 Curious about the taste of this coffee, nurtured alongside the Javanese Owa? One package of 100-gram Arabica coffee can be bought for IDR20K, while Robusta only IDR15K. For coffee enthusiasts who are looking for more than a taste, visit Petungkriyo coffee plantation early in the morning. At around 6 to 8 am, you can hear a loud and melodious singing of the Javanese Owa. These gibbons that live in small groups will repeat their cries to one another like a professional choir. 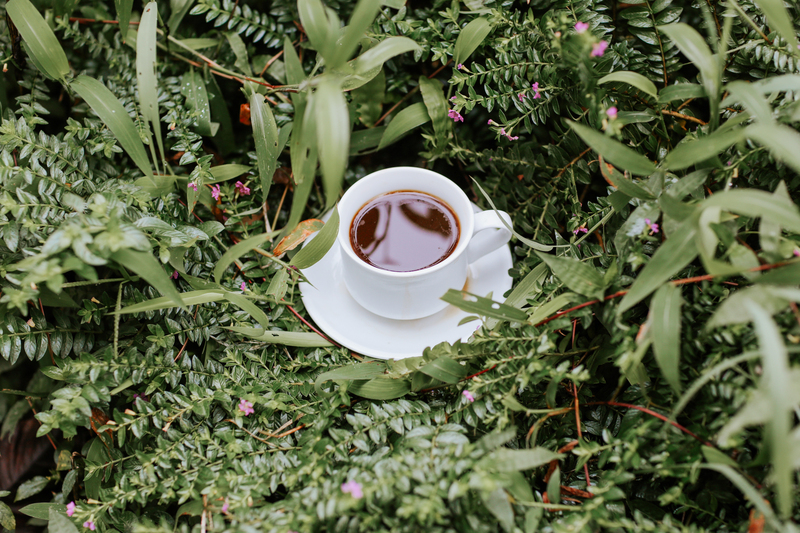 The morning breeze, the aroma of palm-sugar coffee, the cold mountain air, the swift flow of waterfalls, the lush of Soko Kembang forest, and the Javanese Owa choir… what would you call it if not an exclusive coffee-tasting experience? After enjoying your morning coffee accompanied by the singing of the Javanese Owa, you can also explore the Soko Kembang area. There are various sights to visit such as Curug (waterfall) Sibedug, Welo River, Curug Bajing, Curug Muncar, and many more. Who knows, probably you can also spot some of the forest dwellers, such as Javan Gibbon (Javanese Owa), Javan Lutung, Javan Surili, or macaque. Probably that was the song sung by the Javanese Owa every morning in Soko Kembang Forest, the second largest house for Owa after Mount Halimun National Park.